There have been two New Brighton Piers in New Brighton, New Zealand. 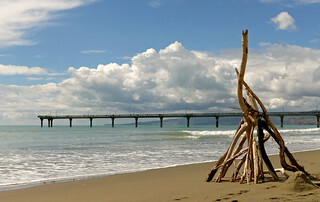 The first pier, of wooden construction, opened on 18 January 1894 and was demolished on 12 October 1965. The current concrete pier was opened on 1 November 1997. It is one of the icons of Christchurch.